Age restriction of 16+ years. 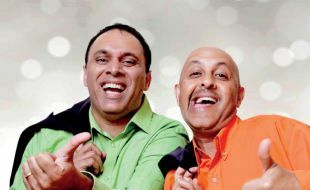 Henry Ramkissoon and Koobeshen Naidoo are back with their latest comedy show, Mixed Nuts. Henry, is known for his off-the-wall performances and Koobeshen from the blockbuster Keeping up with the Kandasamys and ETV Soapier Imbewu. Get entertained by two of KZN’s comedy giants and their no-holds-barred, off-the-wall stand up production. Audiences can catch both of these comedians in the flesh once again at Blackrock. If you enjoyed “Licensed to Thrill” then you will definitely be in stitches with their newest comedy show.